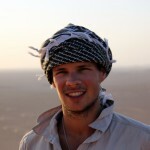 Jake is a conservationist with vast experience in tropical rainforests. He spent the last few years focusing on Guyana and the impact of certified logging and protected areas. 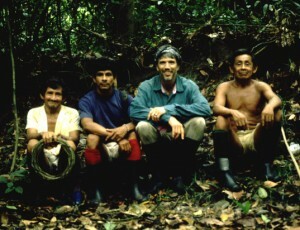 Jake also founded the Guyana Conservation Network. 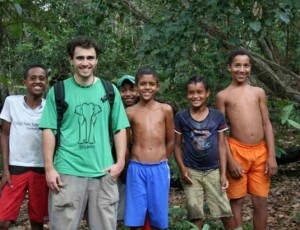 Here he tells us about life in the field and why he finds tropical rainforests so fascinating. 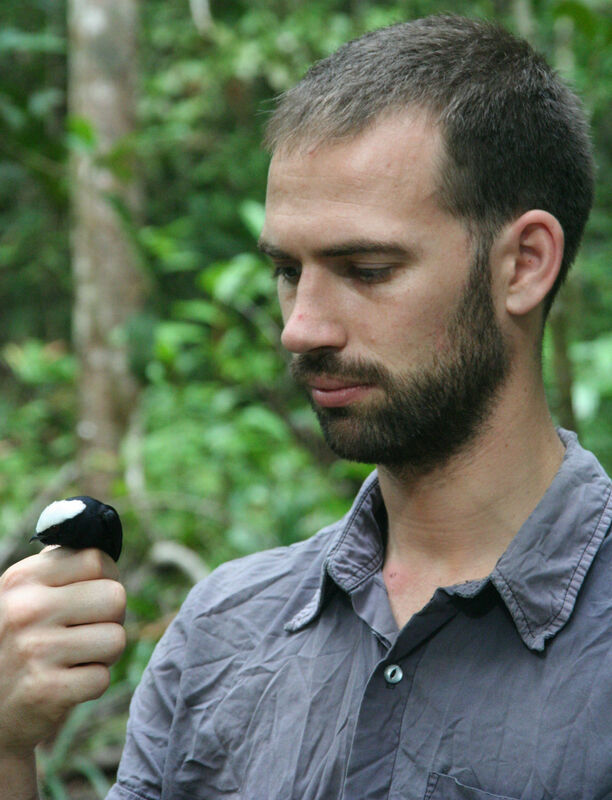 Bio: I am a conservation scientist focussing primarily on tropical forests. I have recently completed my PhD at the University of Kent where I focussed on the effect of selective logging on biodiversity. I am now undertaking a Post-Doc on habitat restoration at Kent. How did you get started in conservation? I grew up watching wildlife documentaries, which left me with a desire to visit tropical forests, and ultimately make a difference towards their conservation. My first visit was as a volunteer in the Philippines at the age of 19. I was struck by the complexity of life in these forests, and never looked back. Since that first experience, I have worked in tropical forests across Asia, Africa, and South America where I now conduct the majority of my research. 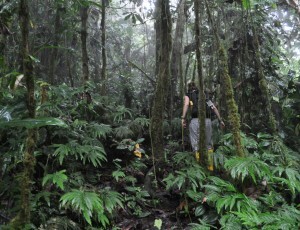 Your research focuses on tropical forests, can you tell us why you find them so fascinating? Tropical forests are the most complex places on Earth, being the most diverse of the terrestrial ecosystems. 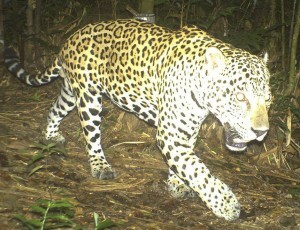 They are also subject to the highest rates of habitat loss, primarily through their conversion to agricultural land. I work mostly on vertebrate communities (birds, bats, large mammals), but I believe in the conservation of assemblages as a whole. Biodiversity in tropical forests are not only of interest to me from a purely conservation perspective, they are fundamental to the healthy functioning of the forest, and it is these forests that regulate our climate more than any other biome. 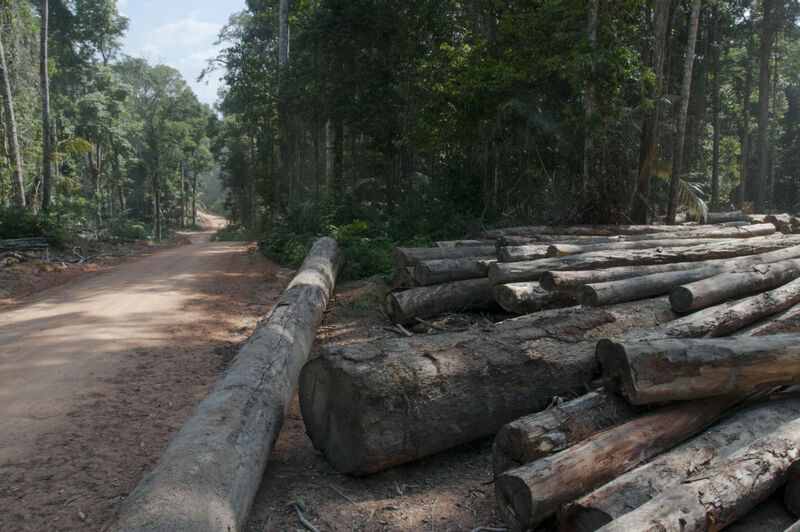 For this reason (among others) policy makers are starting to invest in the conservation of tropical forests, and this I believe provides a real opportunity to make a difference to the long-term persistence and sustainability of those forests. "Nothing comes without hard work and overcoming challenges, so try to see the positive of every difficult situation." Can you tell us a bit more about your current research site? 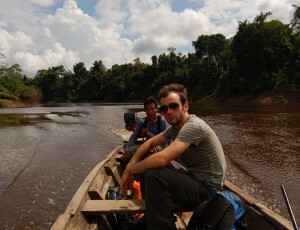 Over the last ten years the majority of my research has been in Guyana on the northern coast of South America. 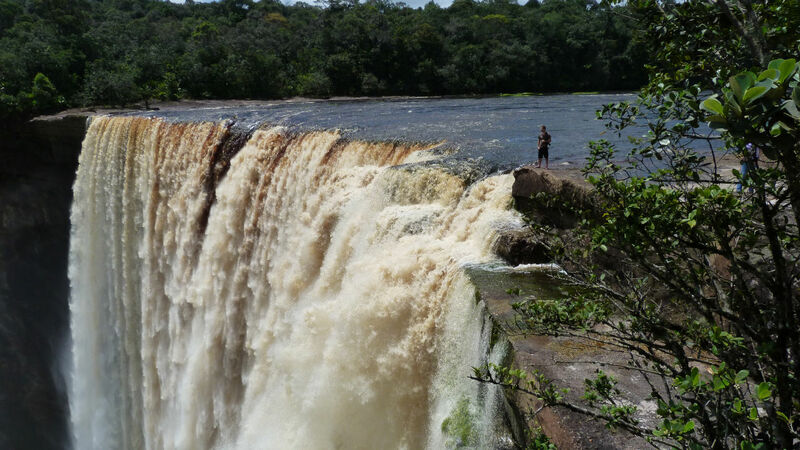 Guyana is a little known country, but it is globally significant due to its large tracts of undisturbed tropical forest. 90% of it is rainforest, much of which has never been visited by humans. My research sites are subsequently quite remote. After flying to the charming capital of Georgetown, it takes about 12 hours to drive along a muddy road to the Iwokrama Research Centre where I am usually based out of. Regularly the vehicles get stuck in the mud, particularly during the rainy season, so I now have well developed skills in pushing 4 x 4’s and buses out of puddles, up to my waist in mud. Transportation is challenging but fun. I have lost bags off the roof or out the back of vehicles on several occasions, and for that reason I ways keep my completed datasheets safely with me inside the vehicle. Once the data are collected, those sheets are like gold dust to me before they are entered into the computer. For everyone sitting comfortable at home, can you tell us a bit more about day to day life in the field? Once I get to the research centre, it’s then up to a few hours to get to the research sites, by boat, motorbike, 4 x 4 or on foot. I usually work alongside Amerindian people, whose local knowledge of the forest is greater than I could ever hope to achieve. We erect a tarpaulin, sling our hammocks, and then get to work with the surveys. Days are long, starting at 05:30 for bird surveys, and finishing at midnight after sampling bats. That schedule day in day out makes sleeping in a hammock very easy. We cook camp style, wash in the rivers and streams, and try to minimise our footprint before moving onto the next research site. 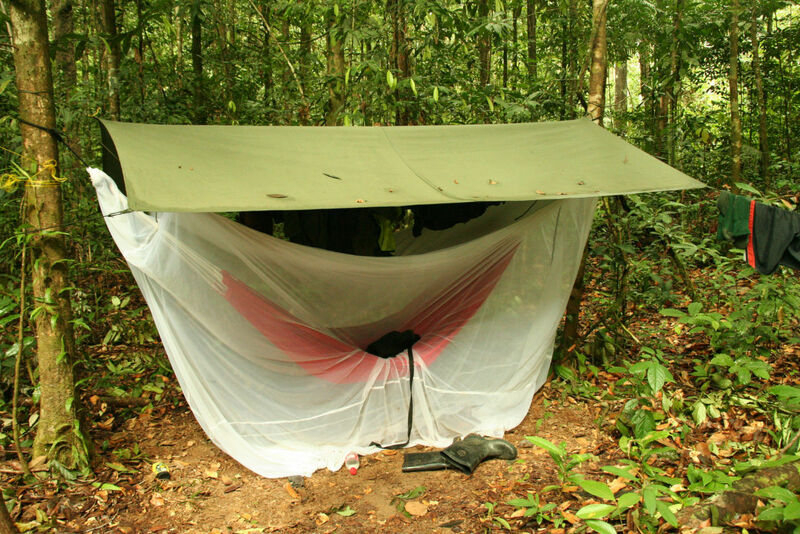 Unlike some forests, mosquitos are not too much of a nuisance in Guyana, but the ticks are less fun, the bites of which can sometimes get infected, and have seen me end up in hospital twice. Communications are challenging, but we take a satellite phone for emergencies if necessary. Fortunately, I have never had to use it. 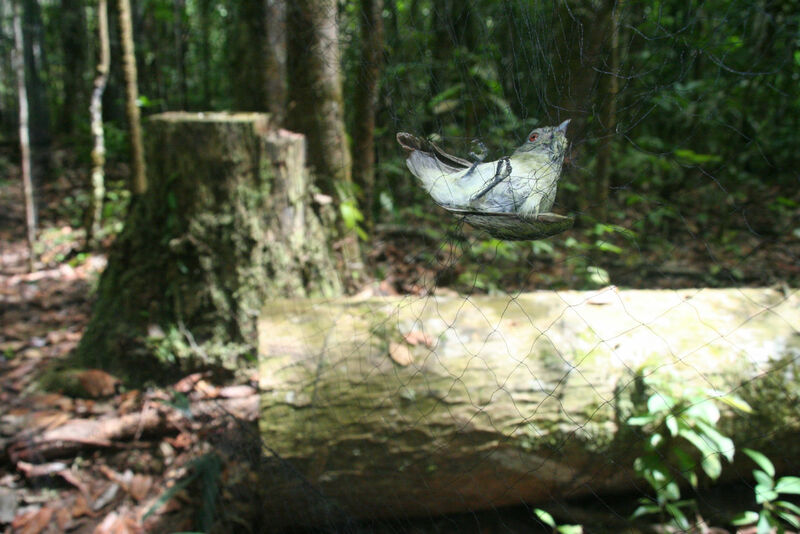 TOP LEFT: Female White-crowned manakin caught in mist net in logged forest. TOP RIGHT: Jake with a recently captured Manakin. BOTTOM: Jake’s hammock in the forest. "The remoteness can really make me delve into my thoughts much more than I do during day to day life back home in the UK." It sounds like an incredible country, can you tell us a few of your favourite fieldwork memories? I have always loved tropical forests, and I treasure working in them. The wildlife is incredible, and there’s always something new to experience and learn. I love travelling by boat along the rivers, watching birds fly in all directions, and howler monkeys in the trees overhanging the banks. 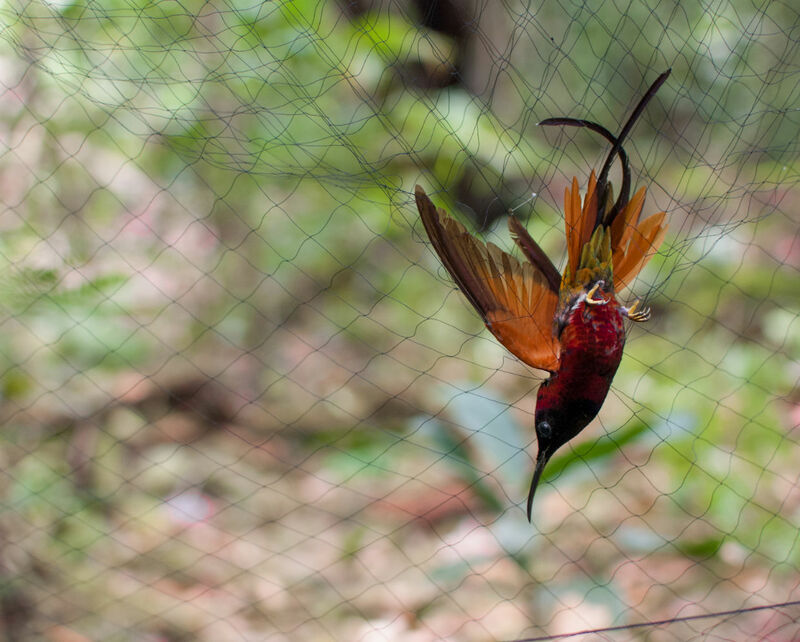 I remember the final bird I took out of a mist net at the end of my PhD fieldwork (mist nets are used to study birds and bats). It was a cinnamon-crested spadebill (Platyrinchus saturatus) – on the surface a pretty plain looking bird, but they have a fantastically wide bill, and beautiful flame coloured crest that they normally keep hidden. At the end of five years of blood, sweat and tears, that bird and I had a ‘moment’. There is something very peaceful about working with birds in tropical forests, but the biting bats are less relaxing. Working in tropical forest is exceedingly challenging, and really tests my resilience day to day, but even during the difficult times I’m never far away from a laugh or smile. The remoteness can really make me delve into my thoughts much more than I do during day to day life back home in the UK. Being completely disconnected from my wife for weeks on end is probably the hardest of all. I think every challenge makes me a stronger person though. TOP: Jake at the top of Kaieteur Falls. 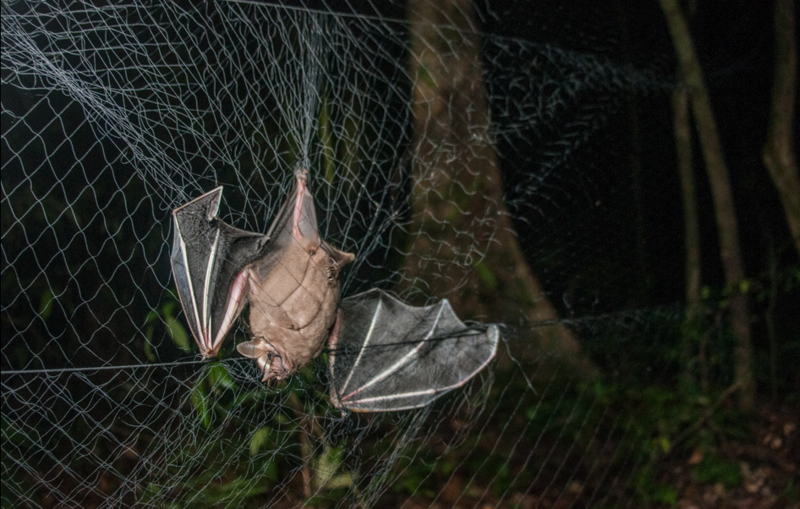 MIDDLE LEFT: Bat caught in a mist net. (photo: Andrew Snyder). MIDDLE RIGHT: Crimson topax caught in a mist net. (photo: Meshach Pierre). 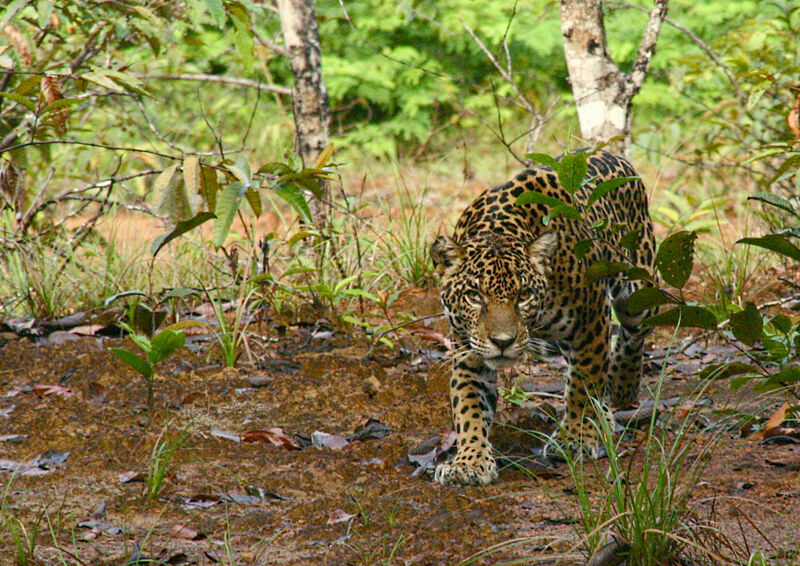 BOTTOM: Stumbling across a jaguar in Guyana. Jake set-up the Guyana Conservation Network (www.guycon.org), which helps support people working on conservation in Guyana. All images copyright Jake Bicknell, Janine Robinson and Andrew Snyder, and may not be reproduced without permission. 1) Get stuck in 100%. Delve in and make the most of it. 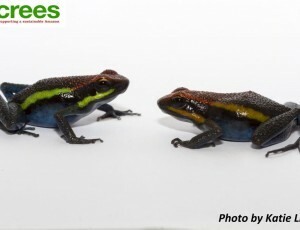 2) Always look on the bright side of tropical forest life. Nothing comes without hard work and overcoming challenges, so try to see the positive of every difficult situation. 3) Expect things to take twice as long as you think they will. The weather for one will slow you down, and equipment breaks all the time. On that note, get good at fixing stuff too! 4) Employ local people where at all possible. They have grown up in these areas, so will have a different set of skills and knowledge from you. Also, if they become interested in the work, they will be the most important advocates for conservation in their own country. Building capacity is really important. 5) Keep your data very safe. Data collection is expensive, time consuming, and takes a lot of effort. So get data into an electronic format quickly, and back it up. So adventure runs in the family Mike! Hope all is well out in the Pacific!